it's not just the beas and the tinas who are getting coverage in foreign publications. 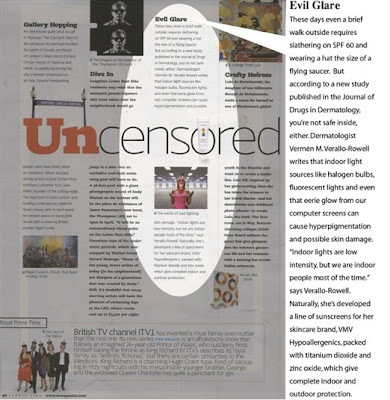 ladies and gentlemen, a new contender in the international arena: W magazine's april 2008 issue (cover: kate moss) features in its "uncensored" section VMV hypoallergenics' most popular product, armada (you can see it hooked onto the letter O). VMV is also now available in thailand. we saw their products being sold in boots.